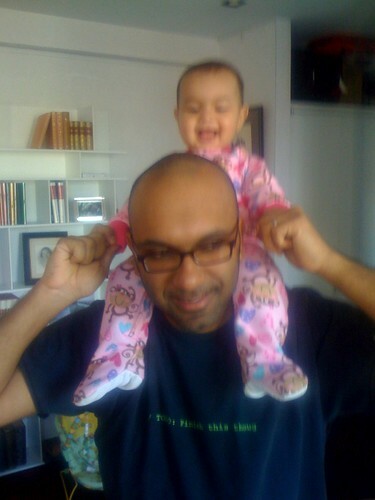 Laila riding on Salim's shoulders, originally uploaded by Salim Virji. 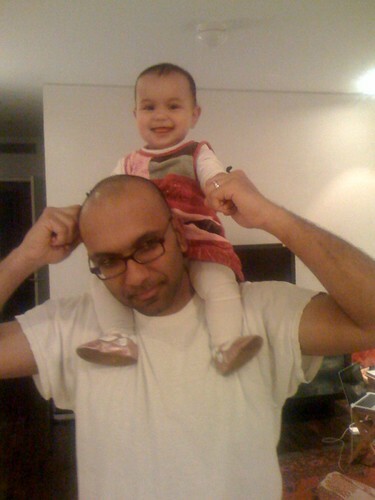 This page contains a single entry by Salim M. Virji published on November 16, 2009 7:44 PM. Laila in her stripèd cap was the previous entry in this blog. Laila helping out with the laundry is the next entry in this blog.